Anniversaries are milestones in our lives that we hold dear to our hearts. It doesn't have to be a wedding anniversary to be special, it can be the first date, first kiss, or the very first time you both said I love you. Riverside Limo Rental will provide an excellent service for you by enhancing your night. We know that each anniversary year has a coinciding gift and we will see to it that your stretch limo, classic car or any other car of your choice has this gift, flowers and the drink of your choice inside. Your chauffeur will be on time, dressed distinguished, ready to take you to a club to party with your mate, a fancy restaurant where you both can dine and drink, an amusement park where the two of you can be thrilled together, or a romantic picnic on the beach awaiting the sunset. This is a special time in your life and do not take a chance with another limo company that will just transport you to your event. 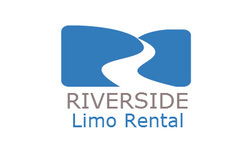 Contact Riverside Limo Rental, since we give you that personal touch and make that event even more special. No matter where you would like to go, whether you have a plan or you just want to live in the moment our car service will make sure that you are always treated as a VIP.